Canadian mobile phone maker BlackBerry is expected to bring to the market an updated BlackBerry 10 operating system on its BlackBerry Q10, one that will supposedly hit devices as BlackBerry OS 10.1. The company has already made the BlackBerry 10.1 SDK available for download through its developer website, so that applications could be built for it, but hasn’t delivered specific details on when the new platform release might actually hit devices, nor on what it will bring along. 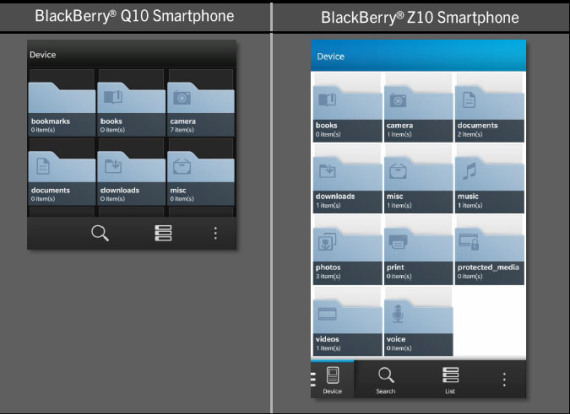 However, courtesy of a recent article on bbin, we can have a look at the full list of features and enhancements that BlackBerry Q10 users will be able to take advantage of in the new OS update. There will be Mnemonic phone dialing capabilities included in the platform, so that users could dial phone numbers by name or number, along with Out-of-Box-Experience software updates, with these tasks now being performed in the background, while people can still use the phone. 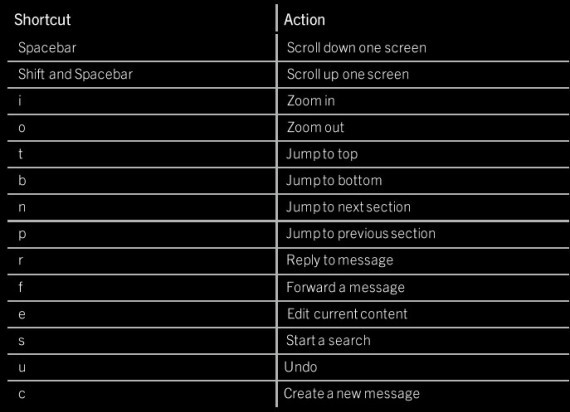 Furthermore, users will benefit from keyboard and application shortcuts on their devices, as can be seen in the first image below, as well as from Dark theme support in apps such as Calendar, Contacts, BlackBerry Remember, BBM, Text message conversations, Search, Adobe Reader and File Manager. 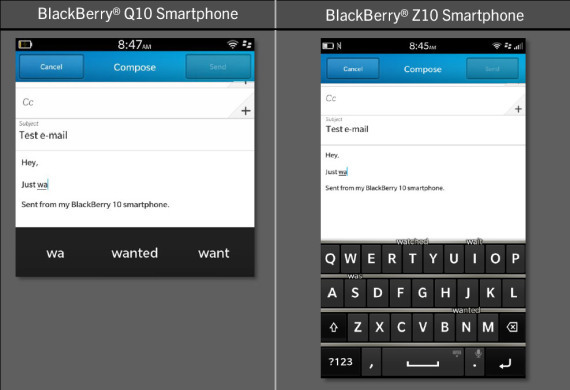 BlackBerry Q10 users will also enjoy Word Prediction on their devices, set to work in a similar way as the virtual keyboard on the BlackBerry Z10 smartphone does, with three predicted words appearing at the bottom of the screen. 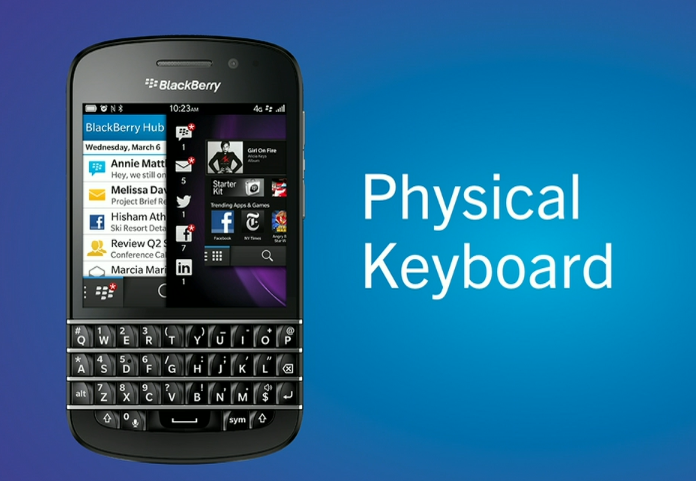 Additionally, there will be a Type N Go feature included in the new OS flavor, providing Q10 users with access to BlackBerry 10 functionality using the physical keyboard, it seems. It all starts with the pressing of the Space bar to initiate search, and it continues through typing the wanted commands. 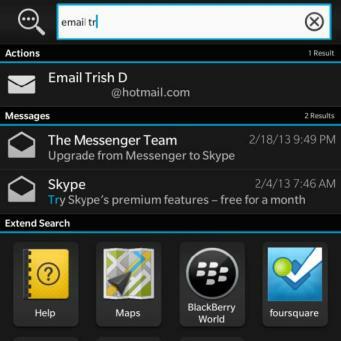 Some of the supported Type N Go Commands include BBM a contact, BBM Videocall a contact, Email a contact, SMS/MMS a contact, Call a contact, Update Facebook status, Update Twitter status, Create a note, Set alarm/timer, Play music, and Map an address/place. BlackBerry OS 10.1 will also arrive on devices with BlackBerry Balance, as well as with Cross Domain Email Warnings, a Corporate Liable feature, and support for BlackBerry Smart Card Reader 2.0. Apparently, BlackBerry also warns that not all applications available in the BlackBerry World might recognize the OLED high resolution (720 x 720 pixels) display on the Q10, and that users might not receive the expected experience when installing such apps.